Although we have designed many houses, the excitement of seeing a building at the stage of coming out of the ground never lessens. We have reached that eagerly-awaited moment with our latest development in a wonderful rural setting and it is particularly exciting as this project involves a steel-framed house. It is designed, as always, to maximise the site, the light and the views for our clients. 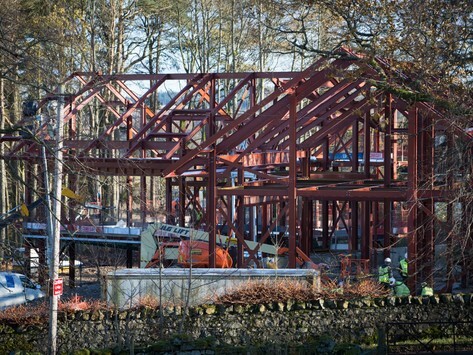 As you can see from the photograph above, the form of the building is taking shape and we look forward to charting its progress over the next few months.